HAVANA, March 27 (Xinhua) -- Cuban paleontologists have discovered the first fossil remains of a pterosaur, a flying reptile closely related to dinosaurs, state daily newspaper Granma reported on Wednesday. While digging in the Damuji Paleontological Region near the central Cuban city of Cienfuegos, researchers found the fossilized bone fragments in sedimentary rock from the Upper Cretaceous layer in the Cienfuegos Geological Basin. Cuban researcher Carlos Rafael Borges, who heads the team that found the remains, said experts from Argentina's La Plata Museum, a natural history museum, have confirmed the fossil belongs to a pterosaur. Specialists from the Department of Earth Sciences at the University of Montana in the United States, were the first to suggest the fossil remains could be that of a flying reptile, the newspaper said. 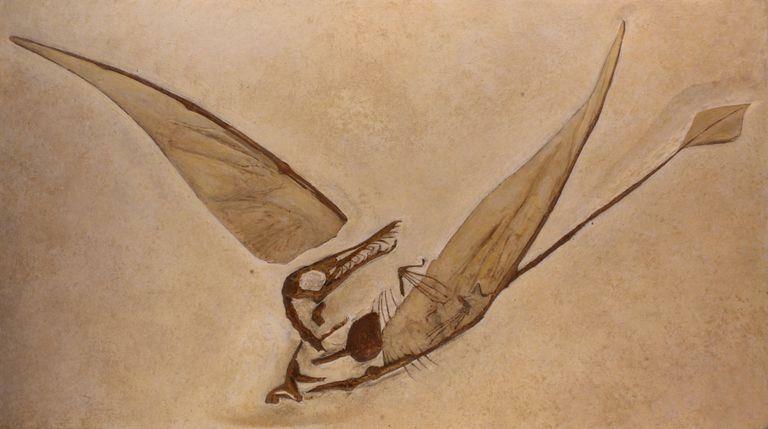 Pterosaurs lived from the end of the Triassic era, about 205 million years ago, to the end of the Cretaceous period, some 65 million years ago, when they went extinct. They mainly consumed fish captured when flying low, according to scientists.